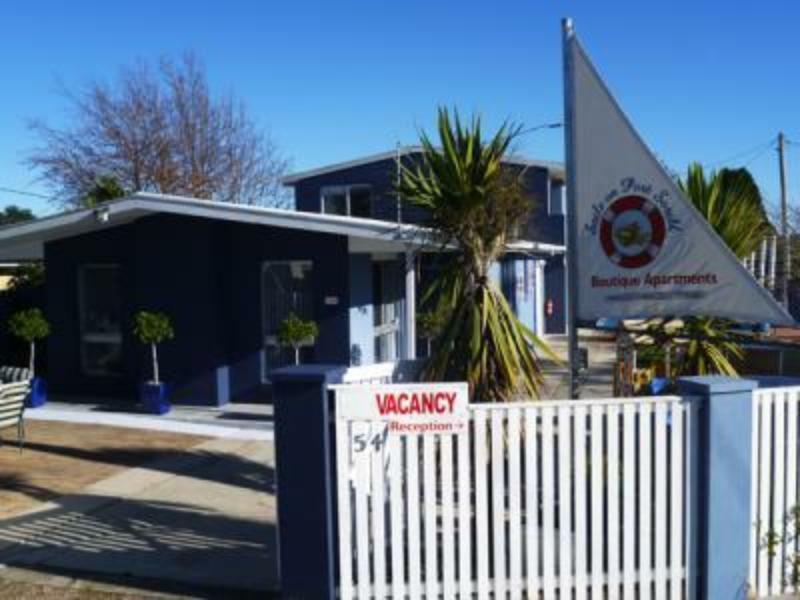 للمسافرين الذين يرغبون أن يعيشو كل ما تقدمه بورت سورل, Sails On Port Sorell Boutique Apartments هو الخيار الأمثل. لا يبعد الفندق كثيراً عن مركز المدينة، فهو يقع على بعد 1 km منها. في حين يستغرق الطريق منها إلى المطار حوالي 15 دقيقة. يوفر الفندق بفضل موقعة الجيد وصولاً سهلاً إلى أهم معالم المدينة.
. استمتع بالخدمات الراقية والضيافة التي لا مثيل لها بهذا الفندق في بورت سورل. يقدم هذا الفندق العديد من الخدمات الكفيلة بإرضاء أكثر الضيوف تطلباً. في Sails On Port Sorell Boutique Apartments غرف نوم يزيد عددها عن 4 صممت بذوق وعناية لتوفر لك كل وسائل الراحة . بعضها يحتوي أضاً على تلفزيون بشاشة مسطحة, حوض الاسترخاء, غرف لغير المدخنين, تدفئة, شرفة/ تراس. يمكنك الاستمتاع بالأجواء المريحة التي تقدمها مسار جولف - ضمن 3 كم, ملعب للأطفال, حديقة طوال النهار. مهما كانت أسبابك لزيارة بورت سورل، فإن Sails On Port Sorell Boutique Apartments هو الخيار الأفضل لإقامة مثيرة وممتعة. Hosts friendly but not overbearing, very clean and very comfortable. Kitchen generously supplied with coffee (real), tea etc, enough for two days instead of the customary one day. If you're into barbecues there is a private sheltered area dedicated for that purpose. We rented the "studio", and I'd recommend it! Keith and Sue were brilliant. Would do anything to make your stay pleasant. Wonderful couple. Highly recommend ! Great service & very comfortable at a very competitive price. Thanks for your review - we appreciate it. Could not find a nicer or down to earth couple than Sue and Keith to make your stay relaxing. Home away from home. Great owners, very welcoming and all the facilities of a home. Thank you. We are glad you felt welcome and at home when you stayed with us. A truly beautiful part of the world. With the best in relaxed accommodation and position. You want for nothing at Sails on Port Sorell. Thank you for your comments - we appreciate all feedback from guests. Staff were very congenial, our room was immaculately clean, the decor and ease of parking wonderful. 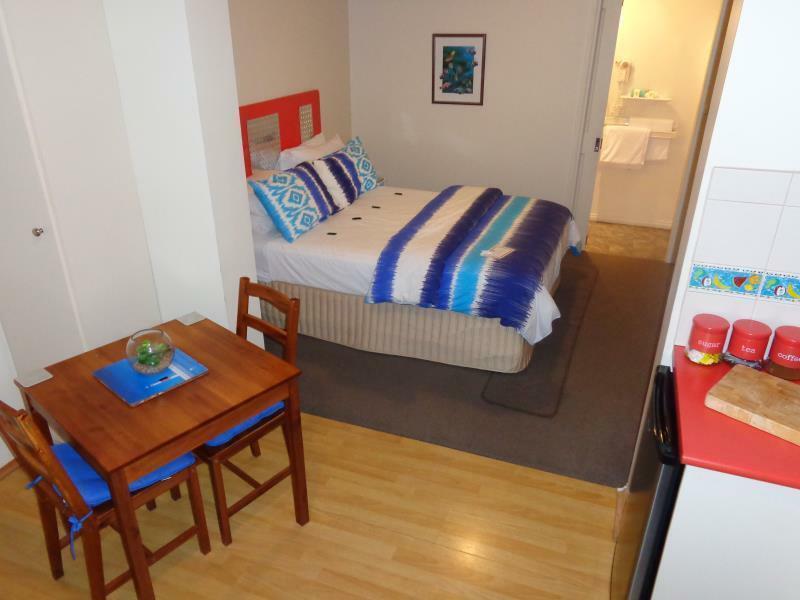 The apartments are set out beautifully with great access to the beach. We were made to feel very welcome and we were impressed with how quickly our names were remembered, just like good friends. Thank you for the feedback. We enjoy meeting and welcoming our guests. Good and worth the money paid. The only setback that they don't actually accept child to be stay in with parent. Though located out from Devon port but not too difficult to find with GPS. Thank you for your feedback and comments about the value of our accommodation. Our studio apartments only have queen beds, however the Pier apartment and the Lighthouse Villa do have more space and extra beds for children. We are a 15 minute easy drive from Devonport and the route is well signposted. We are glad you found accommodation well equipped. We are glad you enjoyed your stay and our wonderful beaches. Very suitable for our short stay for a family wedding near by. Thank you for your comments about our reviews and the room. Port Sorell is a 15 minute drive from teh larger centre of Devonport and about an hour from Launceston. Port Sorell is a small, peaceful beach side town.